Water should be your first choice when it comes to staying hydrated. 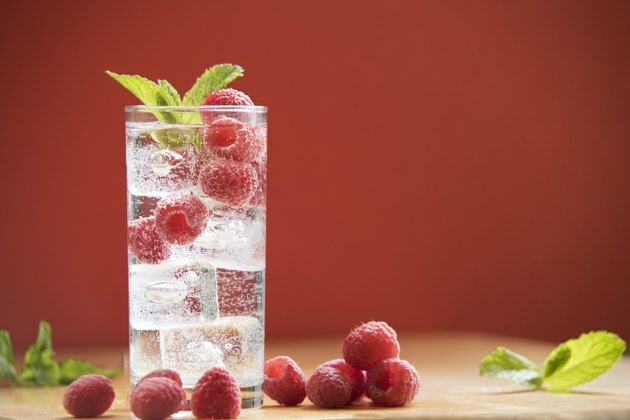 But if you like a little fizz in your water, seltzer water is a healthy option. You may be wary about drinking seltzer because you've heard that that carbonated water might be bad for your bones. But seltzer water does not prevent you from absorbing calcium, nor does it leach calcium from your bones. Seltzer water, also called carbonated water, is plain water with dissolved carbon dioxide. It was invented in the late 1700s. Adding carbon dioxide to water creates carbonic acid, which makes the water slightly more acidic than plain tap water. The acidity of the water does not affect your ability to absorb vitamins and minerals, nor does it have an impact on the health of your bones. Phosphoric acid has been implicated as the substance that interferes with your body's ability to absorb calcium, as well as increasing the loss of calcium of from your bones. However, evidence to support this theory is limited. Phosphoric acid is a food additive used to increase the acidity and add flavor to certain carbonated beverages such as cola. It is not a common ingredient found in seltzer water or non-cola carbonated beverages. Calcium is the most abundant mineral in your body. Ninety-nine percent of the calcium in your body is found in your bones, making it an important mineral for bone structure and health. The remaining 1 percent of calcium in your body circulates in your bloodstream, helping to regulate muscle and nerve function. Certain substances in food inhibit calcium absorption. Oxalic acid and phytic acid, substances found in certain plant foods such as spinach and beans, bind to calcium, limiting its absorption. The primary reason you may be concerned about seltzer and calcium is because of how it can affect your bone health. A 2006 study published in "The American Journal of Clinical Nutrition" investigated the affects of cola consumption on bone mineral density in a group of older women. The study found that higher intakes of cola, but not other carbonated beverages such as seltzer water, were associated with a decrease in bone mineral density. It is also important to note that these women also had overall lower intakes of calcium. Harvard Health Publications: Does Carbonated Water Harm Bones?